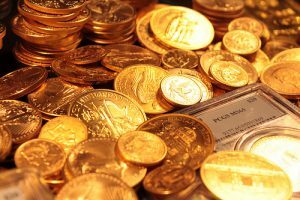 Precious Metals Market December 2018 | American Precious Metals, Inc.
Is gold ever going to go up? That is the most frequently asked question of us, nowadays. The answer is well, yes, eventually in dollar terms. It will go up when alternative investments fall out of favor, most likely next year. We are seeing weakness now, in stocks, bonds, some real estate and definitely crypto currencies. For the moment, cash appears to be the safest option for wealth, which is where corporations and hedge funds are going. The risk there is depreciation due to loss of purchasing power if held too long. Uncontrolled creation of new money, called inflation, causes that, and we will be experiencing it soon. Government central banks (not ours) are buying gold now in huge amounts for the first time in 3 years (See Article https://www.kitco.com/news/2018-11-02/What-Central-Banks-Bought-Gold-In-2018.html). What do they know? Is there another financial crisis looming? Some experts, (Jim Rickards, David Stockman, and Peter Schiff to name a few) see another 2008 scenario, only worse, caused by out of control debt worldwide. Remember in 2008 gold topped $1,000 for the first time ever then dropped to $725 that summer. For the next 3 years, it climbed steadily to $1,900 (silver at $49.90) then declined 40% over 4 years to $1,054 in December 2015 (silver at $13.86 -70%). It’s very easy to become fixated with metals price fluctuations because they are quoted hourly, therefore easier to evaluate than the price of one’s home or other real estate. A better way to view metals, in our opinion, is as insurance against financial uncertainty. When the economy is good, optimism is high, no need to worry, right? You never need flood insurance until you have a flood. One of the most attractive features of precious metals is liquidity. For the last 2 years our markets have been in what we call a “liquidation phase”, that is, more people selling to us than buying from us. Money has been flowing to all the aforementioned alternatives. According to the THEORY OF CONTRARY OPINION, one should bet against the crowd sometimes for best results. This would be the time to add to existing positions to lower average costs, or to make a first purchase. Our philosophy remains unchanged; take physical possession for ultimate safety and privacy. If you don’t hold it, you really don’t own it!